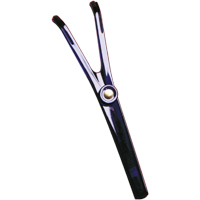 Select your item: 811-0614 845P, 12/Pkg. The GUM Flossmate Floss Handle is designed to make between-teeth cleaning simple, fast and effective. It holds the floss at the right tension in an easy-to-grip handle allowing the focus to be on the cleaning action between the teeth, rather than managing the floss around the fingers. 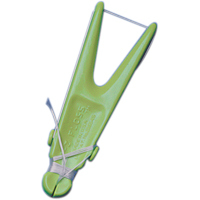 Mastering the flossing technique can be challenging but using the GUM Flossmate floss handle simplifies between-tooth cleaning.